Everyone is talking about crowdfunding these days. Not surprising really. It’s not just a hot topic but a very useful tool too. In 2015 some 300,000 businesses raised £3 billion through alternative finance or crowdfunding (Source: Pushing Boundaries: The UK Alternative Finance industry Report 2015, NESTA and The University of Cambridge). These figures have almost doubled since last year so crowdfunding is improving access to finance but the area of investment is still cloaked in mystery. Put simply crowdfunding is a way of financing projects and businesses through small contributions from a large number of backers, rather than large amounts from one or a few sources. Typically an entity (usually a business but it could also be an individual or group of individuals involved in a project that may or may not be profit making) posts a “pitch” onto a crowdfunding platform. This pitch explains the nature of the enterprise, the team involved, how much money is needed, how the money will be used and what “reward” is being offered in return for cash. 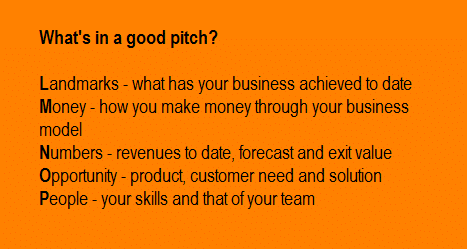 Interested parties reading the pitch then decide if they want to back the idea by providing cash. What makes crowdfunding work is the networking effect of people talking about the project and encouraging others to get involved. Word spreads far wider than the group of people known to the enterprise. A crowdfunding pitch runs for a defined period (although the exact period will vary from pitch to pitch, platform to platform). On the majority of platforms if an enterprise fails to reach its crowdfunding target by the deadline then the enterprise receives none of the monies raised and the cash is returned to the people who pledged it. The complication comes because there are several different types of crowdfunding and many, many different platforms. Predominately, what defines the difference is the “reward” mechanism used by each platform. This is probably the platform that is most familiar. No doubt we’ve all been approached by a friend or relative at some point who tells us they are doing something amazing (like running a marathon, climbing a mountain or cycling across a continent) and requesting sponsorship for their favourite charity. In this case the “reward” for your hard earned cash is a lovely warm feeling of having supported your friend and a worthy cause. Examples of this type of crowdfunding platform are Just Giving and Virgin Money. A zombie film which attracted investment in exchange for the opportunity to appear in the movie as an extra, in this case a zombie! Companies making a prototype and then funding its manufacture by offering people the chance to be the first to own the product when it came off the production line. Effectively pre-selling a product before it was actually made. A group of villagers clubbing together to save their village pub (in Suffolk). I can only assume the reward here was free beer! Indigogo and Kickstarter are the best known reward platforms but there are a plethora of reward based crowdfunding sites, many serving niche markets and specific groups of customers. The loan-based crowdfunding platforms are, arguably, the most successful in that they account for the greatest amount of monies raised. Here, a company (and it usually is a business rather than a one-off project) raises investment in exchange for a higher than average interest rate over a fixed period. 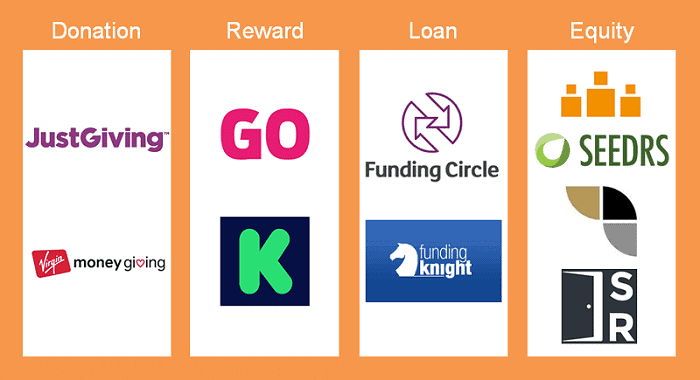 Examples in this arena include Funding Circle and Funding Knight but, like the reward based platforms, there are many, many platforms each serving a specific niche. Equity-based platforms allow a company to issue shares in their business (without the bother of having to list on a stock market) in exchange for investment. I successfully used this type of crowdfunding platform to raise investment for a business I was running back in 2013. Effectively 10% of the shares in my business were bought by 65 investors. Investing in businesses is risky. So, anyone investing on the equity crowdfunding platforms has to self-certify as either a high net worth individual or a sophisticated investor, showing they understand the risks of investing in businesses. The best-known examples of this sort of crowdfunding platform are Crowdcube and Seedrs. Some equity-based crowdfunding platforms have gone even further and rather than opening their platforms to “all” they limit participation to a subset of high net worth individuals and sophisticated investors known as business angels. These investors are generally more “hands on” with the companies they have invested in. They bring skills, experience and contacts, as well as cash, to the businesses they invest in. Examples of this type of platform include Angels Den (for whom I am a Regional Manager) and Syndicate Room. So, there are many flavours of crowdfunding and part of the skill of developing a successful crowdfunding campaign is selecting the right approach and platform for your project or business. 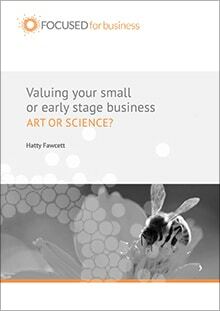 If you would like help in assessing your options, why not book a place on my next (free) Funding Clinic or contact me , Hatty Fawcett, direct to discuss your options.